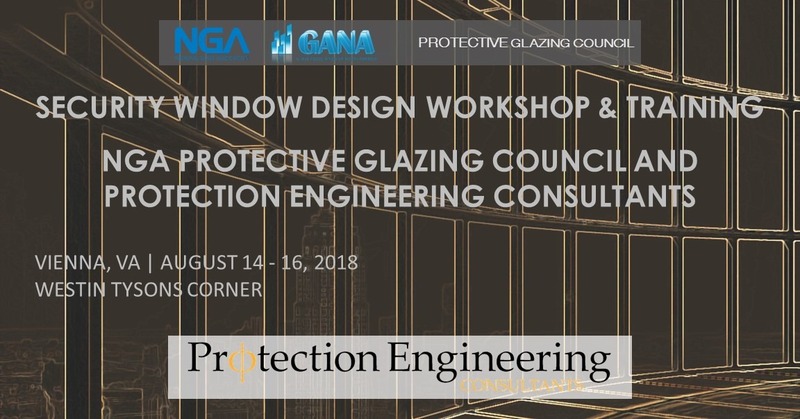 Register now for the National Glass Association’s (NGA) Protective Glazing Council and Protection Engineering Consultants (PEC) first joint-hosted Security Window Design Workshop and Training on August 12 – 14, 2018 just outside of Washington DC. The 1-day Workshop will be followed by a 2-day version of the PEC Blast Resistant Window Design Training course updated to include natural hazards and additional man-made threats. This workshop and training is designed for product manufacturers, architects, and engineers wanting to learn more about security façade design. Networking events will also be hosted to allow more discussion and interaction between attendees and instructors. Contact George Kantrales directly if you have questions or need additional information.